We give you clear and detailed instructions about when to walk, jog, run and stretch, building up your confidence and stamina over 25 workouts - combined with a gripping story delivered straight to your headphones. Zombies, Run! 5k Training comes from the creators of Zombies, Run! (Six to Start & Naomi Alderman), the world’s most successful smartphone exercise game with 4 million players worldwide. Featured by the New York Times, BBC, Time, Wired, and Runner's World! WHAT PLAYERS SAY ABOUT ZOMBIES, RUN! 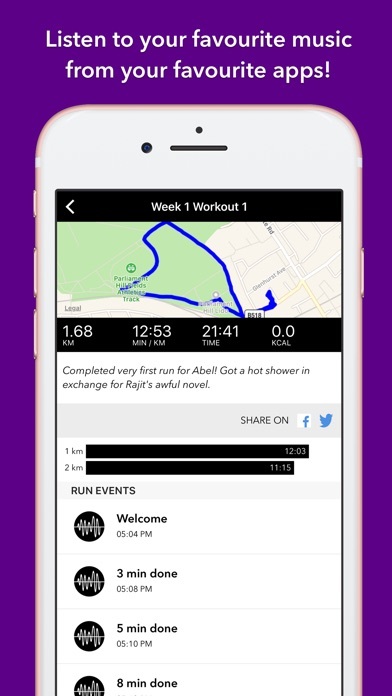 “This app is a work of genius - I finally have a reason to run!! Devised by Julia Jones and Shauna Reid of Up and Running e-courses, this 8-week, 25 workout training program combines awesome storytelling with expert training know-how. Using this app isn’t just good for you - it’s also amazingly exciting! Everything about Zombies, Run! 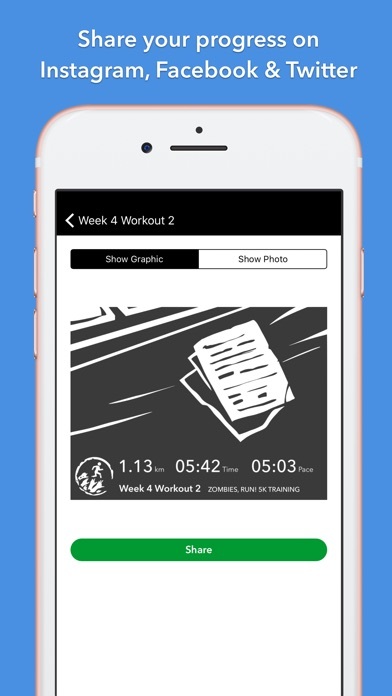 5k Training is designed for beginner runners: clear and detailed workout instructions, a gentle learning curve, and importantly, we don’t make any zombies chase you until you’re ready! 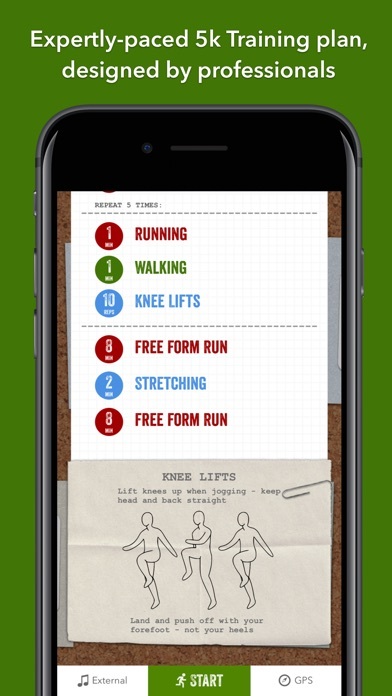 Unlock all workouts for unlimited play for a one-time payment of only $3.99 USD! Choose your own custom music playlists before you start running: the story unfolds in during your tracks through a series of dynamic radio messages and voice recordings. Play your music from Spotify, Apple, Music, Pandora, Google Play Music, and we'll mix it with our story! View split-time graphs and stats for your running and game progress! We integrate fully with our free online ZombieLink service, so you can check your running stats and view and share your maps online, all in a beautiful and easy-to-use interface! 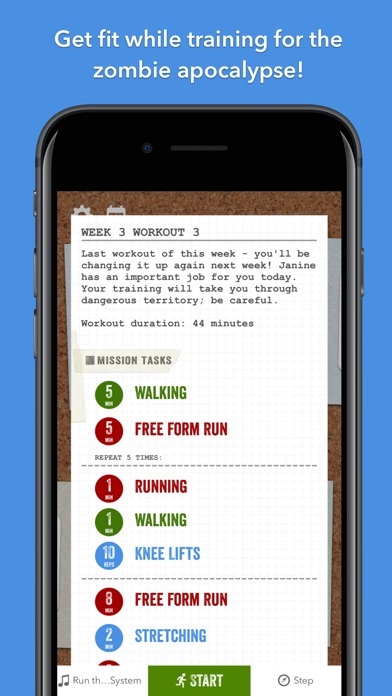 Plus you can export your runs to Runkeeper via ZombieLink. Your workouts will sync to Apple Health and your Activity Rings, and we can also use your Weight to better calculate calorie burn. Zombies, Run! 5k Training takes place between Mission 1 and Mission 2 of Season 1, so it’s a fantastic way to experience 24 all-new missions about how Runner 5 first trained up with Sam, Doctor Myers, and the rest of Abel Township to become a valued Runner. Requires iOS 9+. Continued use of GPS running in the background can dramatically decrease battery life. This update adds a new Email Newsletters section to the Zombielink screen where you can manage your newsletter subscriptions. 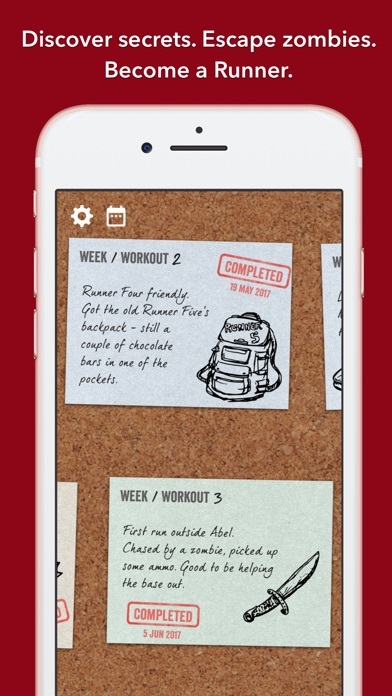 Excitingly, we've also fixed the Week 2 Workout 2 bug where Runner 5 had to sprint for two full minutes! Stand down, 5. Enjoying Zombies, Run! 5k Training? Please rate and review us in the App Store - it really helps!